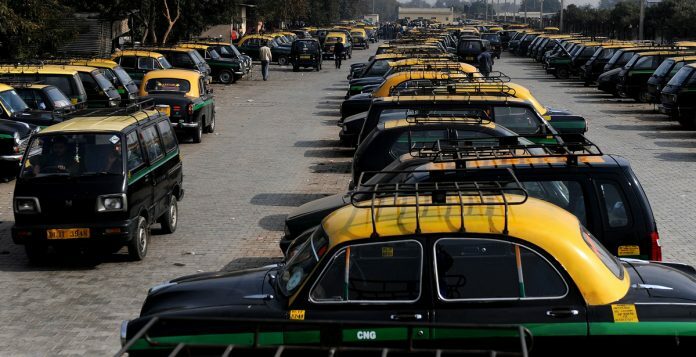 New Delhi: To bolster the safety of passengers, particularly women, the Union Road Transport and Highways Ministry has made it mandatory for public buses and taxis, registered after 1 January 2019, to have vehicle location tracking and emergency buttons. The ministry, however, has diluted its earlier notification for existing public transport vehicles. While it had set a deadline of 1 April 2018, for existing public transport vehicles to install these safety devices, it has now put the onus on the states to decide the date by which to implement the new rules. The ministry notified the rules Tuesday evening. The decision to indefinitely extend the deadline for existing vehicles exposes the claims of the Modi government, which on assuming power had also promised to implement measures to improve safety in public transport. The emphasis on safety measures on public transport was triggered following the brutal gangrape of a 23-year-old woman in a moving bus in Delhi in 2012. A senior functionary of the Society of Indian Automobile Manufacturers, who did not want to be named, said it does not make any sense to install the devices unless control rooms have been set up to track vehicle movement. “These will be just devices without the necessary mechanism to monitor them. They will serve no purpose,” the functionary said. The All India Motor Transport Congress had also earlier written to the ministry, saying that vehicle manufacturers have expressed the inability to produce the devices in such large numbers in such a short time frame. It was in November 2016 that the Road Ministry had issued a notification, setting the 1 April deadline for installation of vehicle tracking system and panic buttons in the approximately 50 lakh commercial public transport vehicles in the country. The ministry, in January 2018, re-issued the notification. The ministry has roped in the Centre for Development of Advanced Computing, the research and development organisation of the Ministry of Electronics and Information Technology, to help states set up command and control centres to track the functioning of these devices.